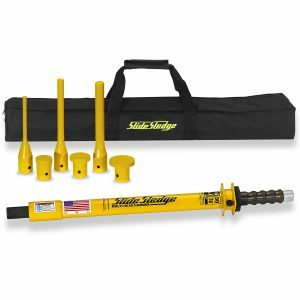 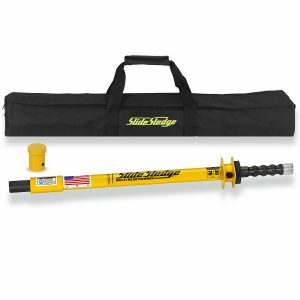 The 14 Pound 30″ Multi-Head Hammer is a heavy-duty sliding hammer that uses linear motion to focus power and deliver precision impact on surfaces without the worry of dangerous sledgehammer misses and glancing blows. 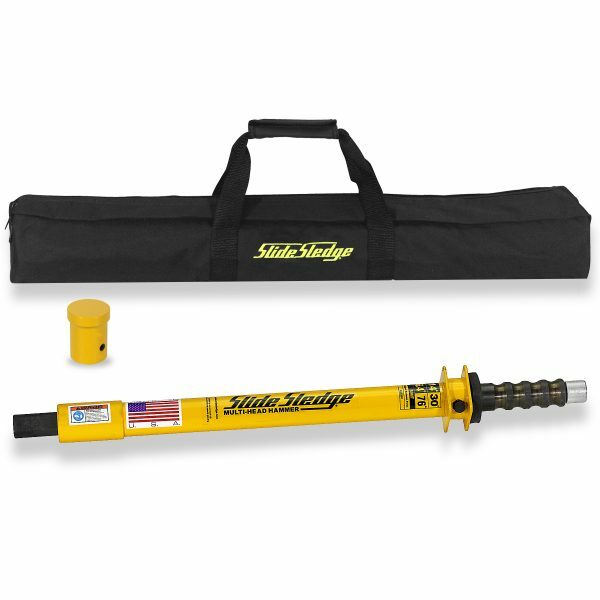 A multitude of quick-change tips are available for this hammer, as well as a handle weight used for added force. 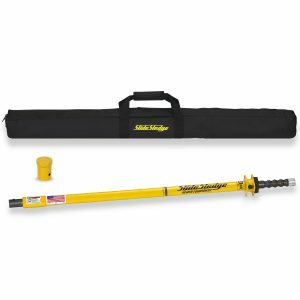 The larger diameter of the 14 Pound hammer coupled with its compact 30″ length allows the tool to fit into tight areas while delivering the biggest maximum force.